Did you know there is a small wetland at Ferry Reserve? 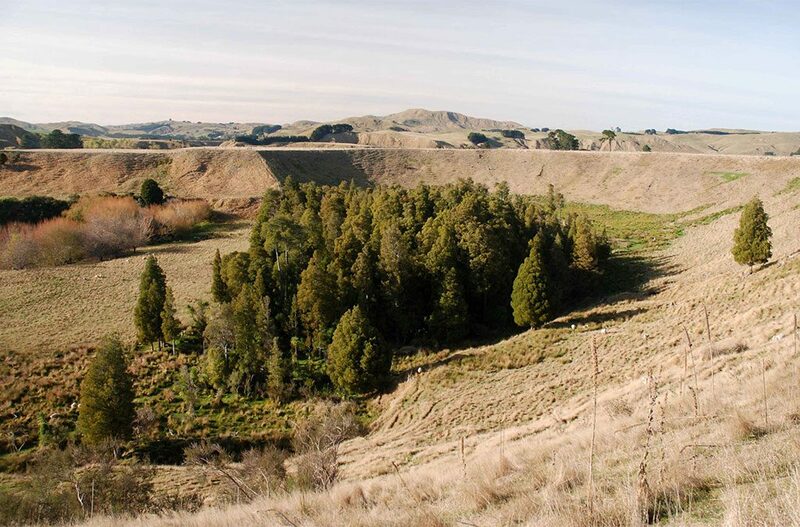 This was once a bend of the Manawatū River when the river changed its course the area was cut off and an oxbow wetland was formed. An oxbow is a special kind of lake or wetland that can form next to meandering rivers. It is shaped like a crescent or a horseshoe. Rivers tend not to run in straight lines, they swing back and forth eroding the bank and creating loops as they flow. Sometimes when this meandering course grows the curves meet and start to pinch off the loop from the main course of the river. When the final pinch occurs, you have an oxbow lake – a body of water completely detached from the river. 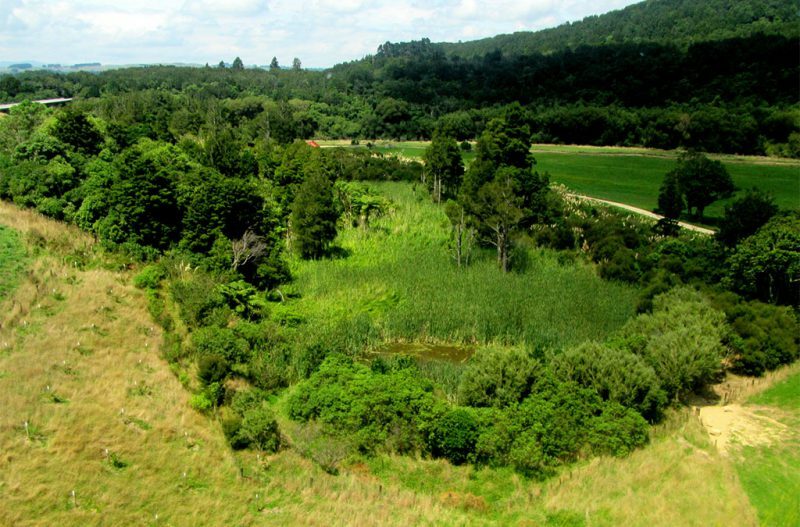 Oxbows are common in lowland areas and there are numerous examples of oxbow wetlands along the meandering rivers in the Tararua district. Such as the Kohinui Road Oxbow and Waayer Wetland. 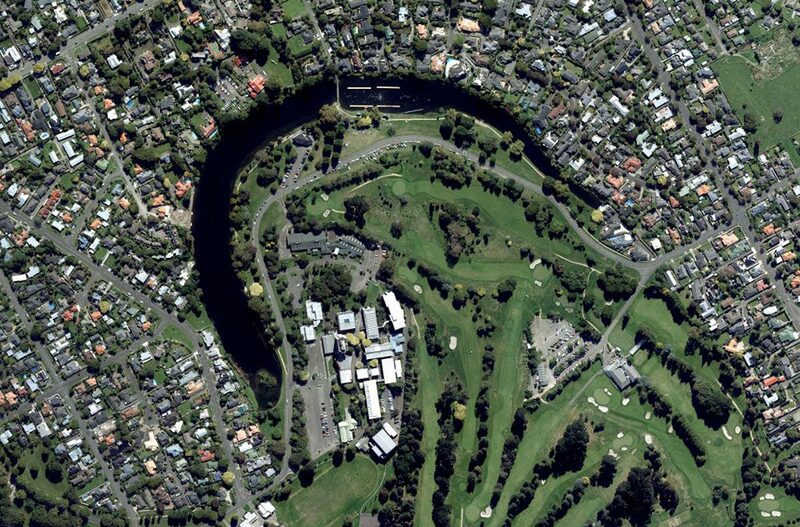 The popular Hokowhitu Lagoon in Palmerston North is also an oxbow lake. In these lowland areas, the water table is high which stops the oxbow lake from drying out. Eventually, you get wetland plants growing in these water bodies and so a wetland is formed. These wetlands are important habitats for plants and animals, such as the indigenous Swamp Maire tree (pictured below). 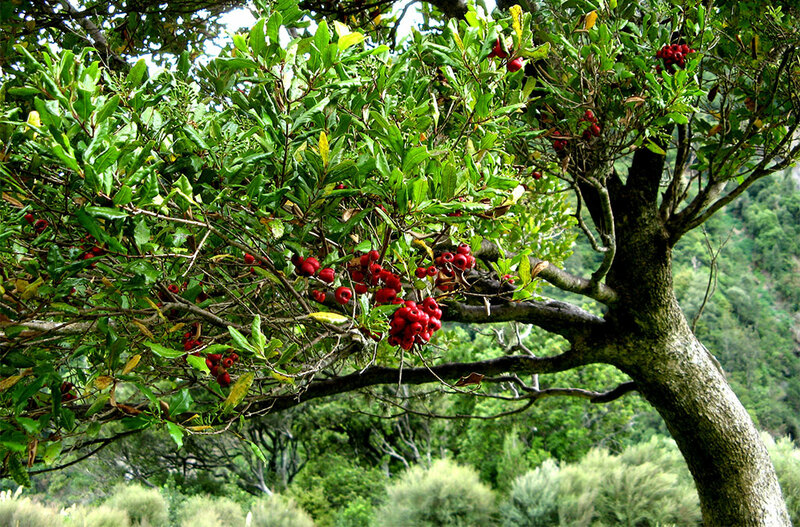 The Ferry Reserve wetland is one of only four sites in the Tararua district theSwamp Maire tree has been seen growing. There is a walking track around the Ferry Reserve wetland if you want to see it out for yourself. While you’re there you can also see Te Waha o te Kurī Whare, the Ferry Reserve whare/information kiosk built by local iwi through the Tū Te Manawa programme. Want to find out more about wetlands? 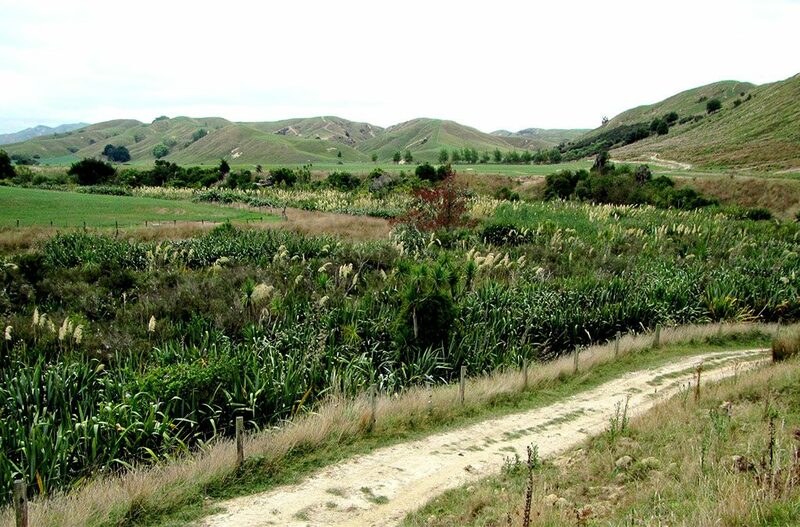 Our Biodiversity page focuses on wetlands and bush remnants in the Manawatū Catchment and the programmes that support them.